Pretty Me Up! : My Spa Day at Alexis K!! My Spa Day at Alexis K!! I had an amazing time at Alexis K! The customer service is beyond what I expected. The atmosphere is friendly, professional, comfortable and everyone is an expert in her field. I had one of the best experiences here and I highly recommend checking out Alexis K. in Solana Beach!! 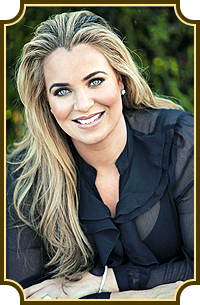 With 13 years of experience in the skincare industry, working as an eyebrow artist and esthetician, San Diego native Alexis Koravos garnered her most valuable training as an apprentice to Anastasia Soare-world-renowned eyebrow artist to the Hollywood elite and founder of Anastasia of Beverly Hills; Soare is thought to be the “Eyebrow Guru” among scores of celebrities and film stars. 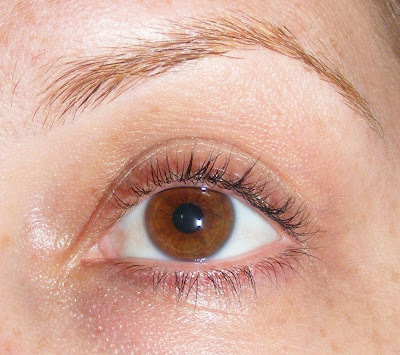 About eight years ago, Soare offered Koravos the esteemed chance to study under her tutelage, offering her advanced instruction on what makes the flawlessly arched eyebrow. Such training in the field coupled with a traditional education has contributed to Koravos’s own distinctive technique, and thus, over the years, has acquired her a loyal and sizeable clientele-which includes locally based personalities and public figures, along with out-of-towners from all over the country. Although Koravos specializes in the artistry of eyebrow shaping, she also offers a myriad of other esthetician-related services aimed at enhancing one’s natural beauty. Alexis K. won San Diego's best waxing!! When you walk in, this is what you see! The environment is gorgeous, relaxed yet very upscale. Yes, I had to buy a pair- so comfy!! How beautiful is this photo???? When you walk in, this is what you see to your right. Alexis explained what she does, her background and we talked all about brows! Alexis is truly a brow guru! She is an artiste, so sweet and kind! I can't say enough amazing things about this woman. She is an expert, and you will learn a lot by sitting in her chair! She ends the session by filling in your brows for you! After my brows were done, I proceeded down the haul for my lash treatments. They carry 100% Pure products! Brianne is so sweet, she applied these plastic applicators to help her for the lash tint and perm. They may look uncomfortable but they didn't bother me one bit! After my lash treatments, I walked into the other room across the haul. This is where the "skincare magic" happens! It's tiny, yet quaint and cozy! I really liked my skincare treatment, I immediately saw a difference! Julie tailors the the treatment to each client's specific needs. I had an oxygen treatment with this machine that helps cell turn-over. It was really great and I highly recommend Julie!! I was so relaxed, I almost looked like I was on another planet lol! Imagine not having to use an eyelash curler for months! I recommend trying the eyelash perm, I really think it's worth it. For those with super fair eyelashes, I think the tint is a great combination with the perm. The point is to let ALL of the hairs grow out without tweezing. Just leave it up to Alexis! 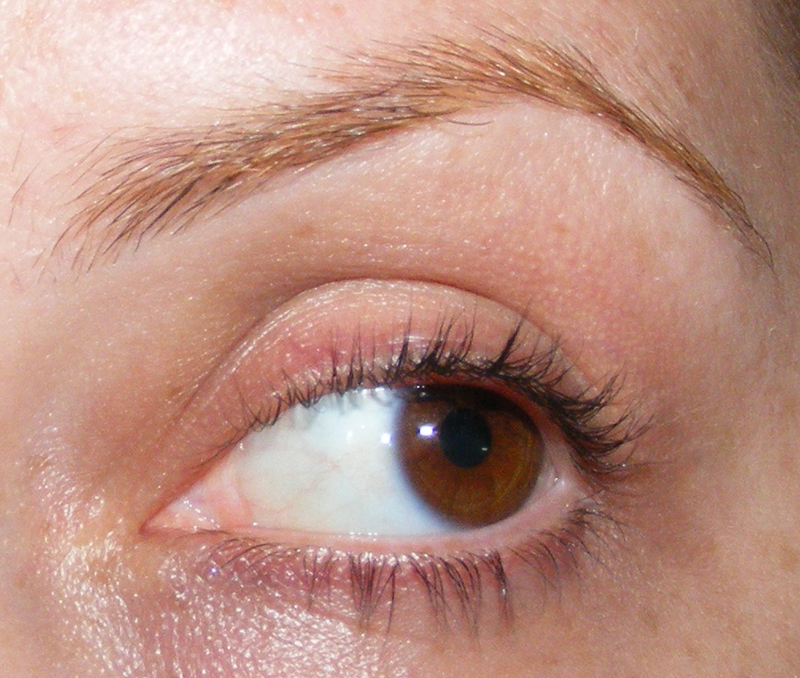 This gap below is what I need to let fill in, and applying LiBrow has helped grow-in this area of hair. iBrow is the absolute first and only cosmeceutical brow conditioner of its kind to use active ingredient technology. LiBrow starts with a rich base of powerful vitamins, minerals, and proteins that were specifically blended to help stimulate and strengthen the coarse eyebrow hair. My name is Julie Richard and I am Licensed Asthetican. I've been in the business for ten years. I became a medical aesthetician while working with a plastic surgeon and dermatologist. I specialize in medical aesthetics, using medical grade products to achieve beautiful results. I also specialize in Permanent Make-up application. The Custom Facial I did on Whitney enables me to analyze your skin and target your skins specific needs whether that be hyerpigmentation, loss of elasticity, large pores, or congested skin, which are the most common concerns among the clients I see. I emphasize to all my clients that healthy skin is younger looking skin. If you take proper care of your skin and keep the texture healthy through facials and a good medical grade skin care routine at home it can literally take years of face. I was born and raised in San Diego, I am from the East County Area. I earned my entreprenuership business degree from Cuyamaca College while working in accounting. After earning my degree I enrolled at Bellus Academy in Poway where I took the Makeup, Basic Esthetics and Master Esthetics programs. I chose this career becuase I love skin, people and I love having the opportunity to see changes/results from our services. The vice president of the school connected me with Alexis K and now I LOVE my job :) Everyday is a change of pace and some new adventure which keeps things interesting. wow, that entire process sounds absolutely amazing! i wsh i had some spare money hahaha. lucky girl :) I've never been to a spa haha guess it's super expensive! Reply to your comment: If i remember correctly, Shu Uemura stocks a lot of those dramatic eyelashes i've ever seen! with feathers, blingbling diamonds, all sorts of 'dangling' decorations LOL i wonder if anyone would wear those out! hey nice blog. nice post loving the pictures looks like heaven! thanks for following bimbobeautiful! WoW! such a thorough post, it feels like I was the one visiting the spa....Thanks for sharing the experience!